Navidad Nuestra: seasonal shows coming up! 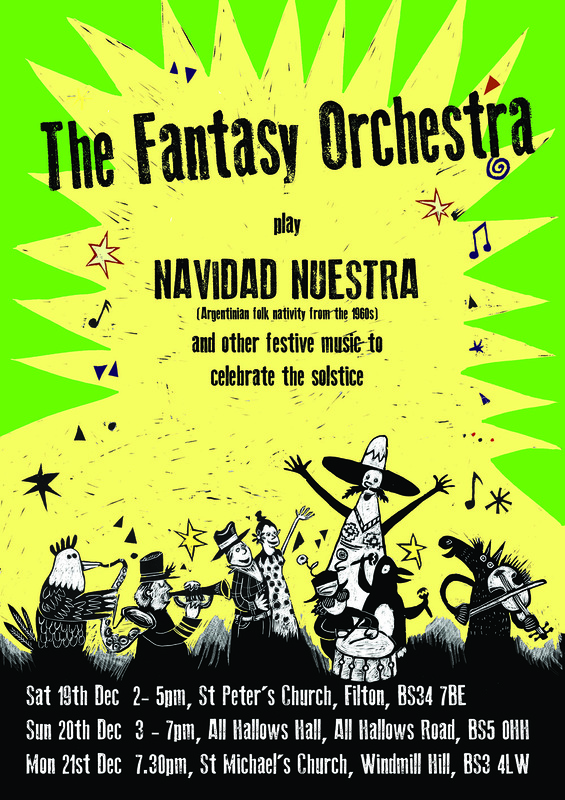 Fresh from our Bowie extravaganza (of which more soon), we’re playing three dates in Bristol over the festive period, reprising the Navidad Nuestra suite from last year plus sundry FO faves. Poster designed by Melanie Wickham (baritone sax).